They say that life imitates art but of course much more often it is art that imitates life. This is why we have so many crime TV shows, movie dramas about yet another marriage falling apart or historical movies about wars and revolutions. In the sub-genre of special crime procedurals there are many long-running shows such as Criminal Minds, Graceland or Quantico that developed their own audiences, spinoffs and even games and merchandise. Regardless of the show’s angle – a more gruesome and serious one or one with more comedic touch like White Collar, the premise of the world portrayed is usually that the good guys work for some special crime division of police or even better the super-police known as FBI, and the bad guys are assorted criminals who need to be caught and delivered to the justice system. However, there is a very popular, award-winning show, currently in its fifth season, that bucks the trend in an interesting way. 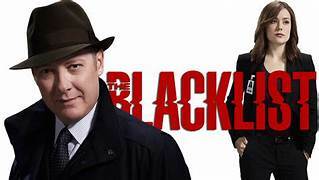 That show is called The Blacklist and thanks to great screenwriters and its star James Spader, the show is consistently entertaining and intelligent, much better than most of the run of the mill action movies that try too hard and end up with being entirely forgettable. What is interesting is that you can watch The Blacklist from three different points of view. If you just want to binge-watch a well written and well-staged action show with lots of explosions, crime mysteries and action scenes – then every episode provides pure entertainment. The first two seasons are the best, then the writing sags a little, and for fifth season the show’s popularity and a bigger production budget brought in more unusual locations, plot twists and better cars. The main character “Raymond Reddington- Red” so precisely played by Spader, has been known in the criminal underworld (is there really such a thing?) as a “concierge of crime” – he moves merchandise (from diamonds to warheads), helps fugitives escape etc. One day he walks into FBI headquarters in Washington (filmed on location in New York by the way) and surrenders himself to become a confidential informant providing the titular blacklist of most secretive and dangerous criminals. His condition is that he would talk to only one person, a young, rookie agent called Elizabeth Keen. Throughout various adventures, Red and Elizabeth have a long and tortuous relationship of changing emotions and a discovery of their common past. The special task force is created to root out the blacklisters and they roam the world in pursuit. And TV viewers get some great escapist entertainment. If you are a firm believer that all the acronym security services cooperate with each other, due process is always honored, justice unfailingly prevails, and patriotism and protection of individual rights are the motivation of every security action in the land – then you can enjoy watching it too. After all, the protagonists are the members of a special FBI task force that helps all the security services apprehend terrorists and assorted bad guys. And then you could be of an opinion that some of the stuff you read on this website is true and valid. Then each episode will bring a trove of notions that only a few years back would not be a part of mainstream entertainment: the special task force constantly faces threats caused by false flag operations supported by a black budget, there is an all-powerful shadow government within the government, manslaughter and treason charges are launched and dropped depending on secret deals with either underworld or foreign powers, judges rule as they are told by politicians etc. etc. It’s funny to watch how these notions that were so fringe only a few years ago are literally the basis of storytelling in a regular, commercial TV show. Various characters, usually the bad guys but sometimes righteous minor players in the story, say some brutal words about the abuse of power, secret dealings and secret budgets or the lack of transparency in the political and criminal process. This is how these statements are often introduced, (or shall we say smuggled?) onscreen- via strong accusations that are then subsequently dismissed by the righteous task force. The main protagonist Raymond is the one who has the least illusions- he is the one who points out that backstage deals are made daily between the underworld and various military and secret services. A case in point is an episode where a judge tries to force a public trial of Elizabeth, an FBI agent, accused of killing a civilian (a harbormaster who stumbled upon a prisoner being held on an old boat). The judge is told by an Attorney General that his attempt to have a trial against her must stop. The judge launches into a tirade against the manipulation – it is an extremely well written defense of civil rights, due process and a pursuit of justice for all. The irony is that such speech would normally be at the end of a successful trial against an abuse of power by a public official – a scene that would be typical for a movie adaptation of a John Grisham novel or any old court drama. These days and in this show, the judge delivers his “justice for all” speech but then he is threatened and told to let all the charges drop in the name of mysterious issues of “national security.” He complies, of course. We have come a long way from All President’s Men, a 1976 movie about how a righteous indignation over political lies, expressed in a newspaper, ultimately brought down a president. There is no indignation in The Blacklist. Black budget, secret rendition sites and legal manipulation are daily facts of life, not a one-time discovery of something rare and reprehensive. If something that was once a taboo or an aberration starts to be a norm in mass media, it is not necessarily a good thing because it may function as sort of a vaccination for the collective consciousness. Audiences become used to the fact that yes, black budget exists, justice does not prevail because it is always subject to “national security” interests, all the acronym services operate with impunity and the government is full of people who are crooks at best.